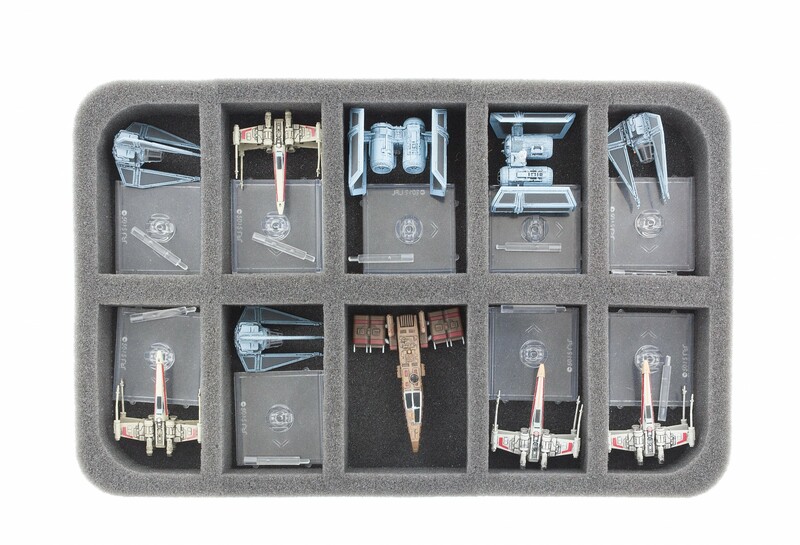 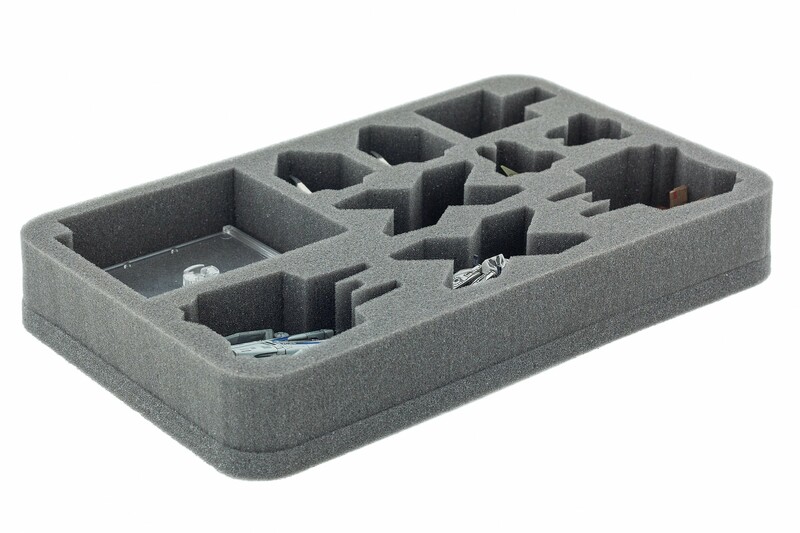 Feldherr MINI case for X-Wing “Scum and Villainy” starships and accessories. 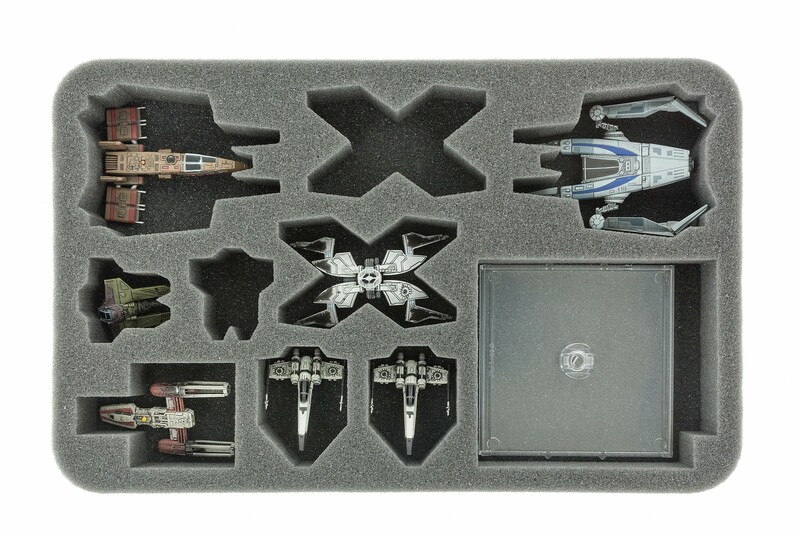 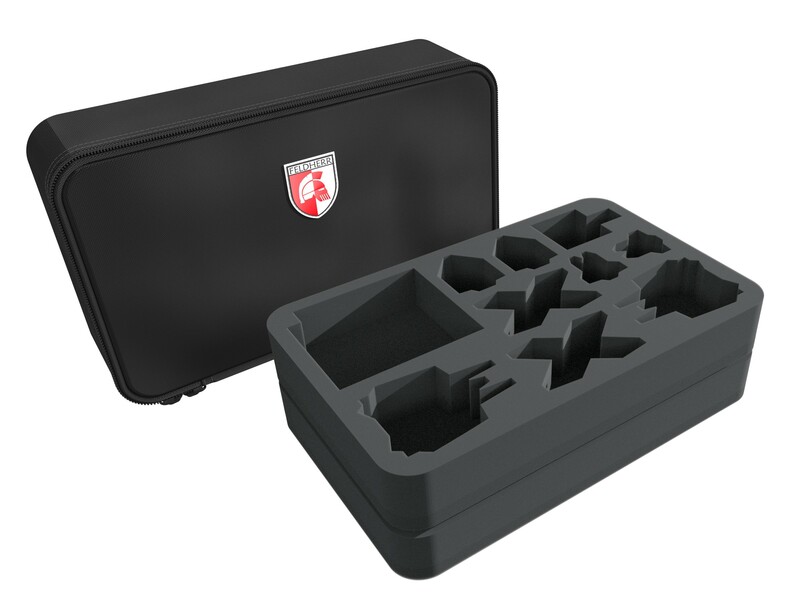 The Feldherr MINI Case stores the StarViper, IG-2000, M3-A and up to 13 starships and accessories. 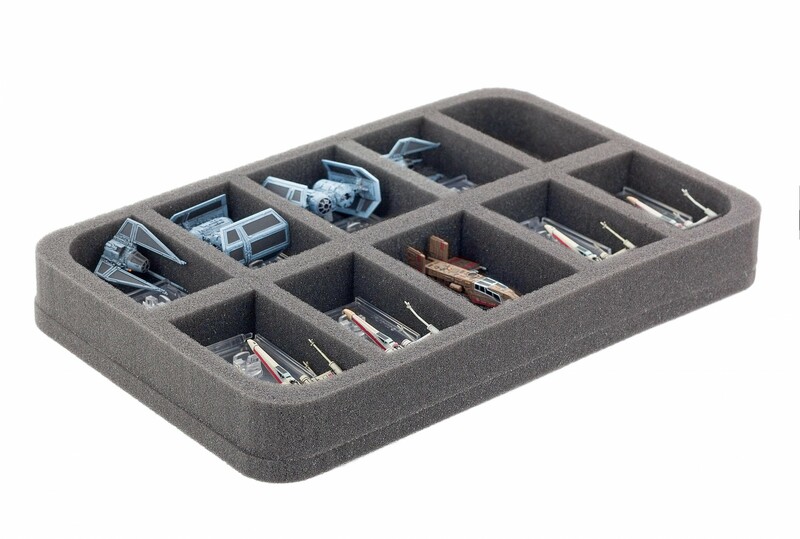 It will be enough space for cards (in sleeves), large and small bases. 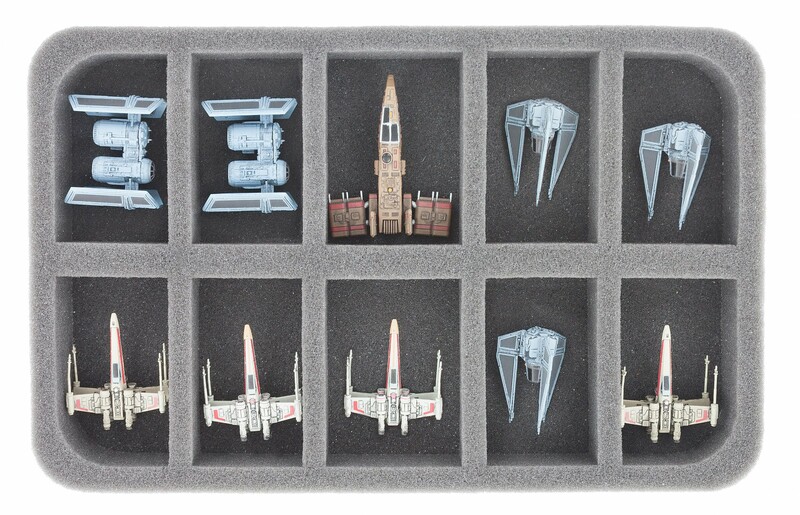 Not your favorite Star Wars X-Wing configuration? 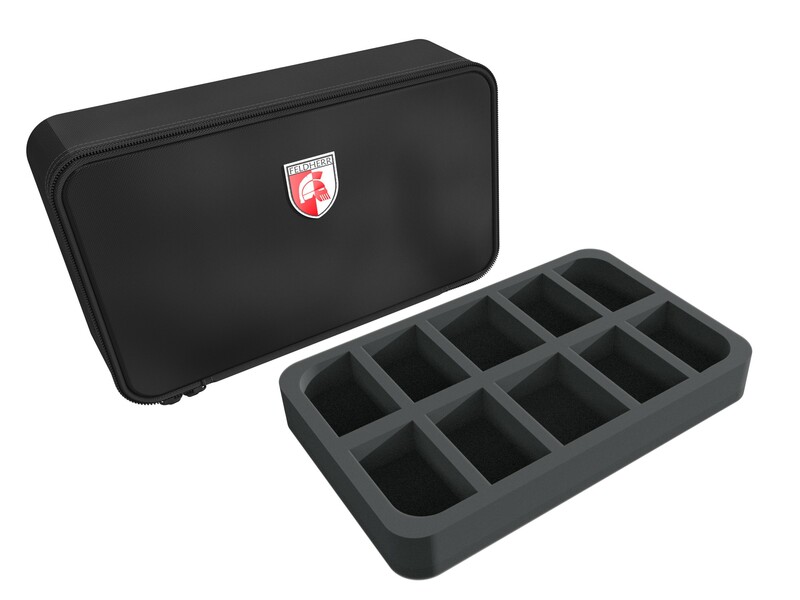 Create your own Mini-Plus individual Bag!